Collaborative divorce is an alternative to the traditional divorce process and a variation of mediation. While it may be a useful option to some, below you will see that there are certain issues that may arise. To move forward with collaborative divorce, there is a requirement that attorneys be disqualified from representing the clients in any adversarial proceeding. As a result, the parties involved will not be given the opportunity to exercise their right to their choices of counsel. Within the agreement for a collaborative divorce is a stipulation that limits your attorney’s ability to zealously represent your interests. 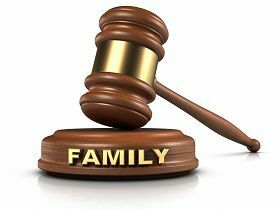 Any limitation creates a process in which your divorce attorney must work for the interests of both parties involved, which confuses the ethical responsibility your attorney has to you. Attorneys practicing in most areas of law are required to partake in continuing education to apprise them of any changes or updates that could affect their practices. In the case of collaborative divorce, there are no such requirements for training or continuing education. As a result, the processes vary greatly depending on the state of practice. Collaborative divorce is just the newest attempt at an alternative divorce resolution. The reality is that nearly all traditional divorce negotiations are resolved out of court. Thus, the collaborative divorce process is not necessarily beneficial when compared to traditional divorce. In fact, if collaborative divorce fails there may be additional costs, both financial and emotional.